The TLW® Check Valve (Tapped Lug Wafer) was engineered for applications where exposed studs are not suitable. It is a center-guided, lugged pattern wafer check valve designed to prevent water hammer and reverse flow. TLW® Check Valves have a spring-assisted, non-slam design, and they are available in several specifications. Valve line sizes range from 2” thru 24”. 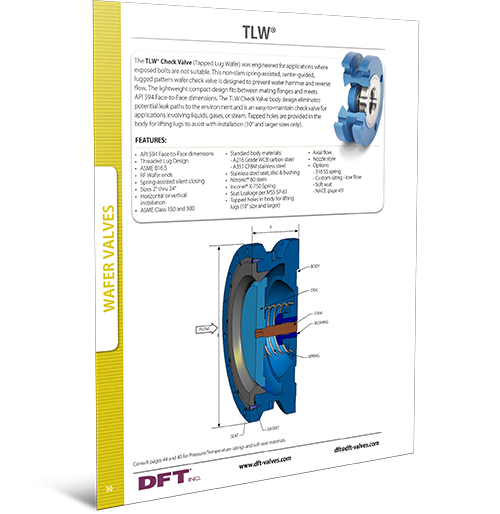 To download the complete TLW® Check Valve Cut Sheet, simply fill out the form.